Skype has a free recording feature which can record audio and video conference calls as MP3s. More details here. View more presentations from dkaye. If you want your audio file to be podcast compatible (tip: you want your audio file to be podcast compatible) You need to convert it to an mp3 file. There are many ways of doing it, but the easiest is to do it through iTunes which you might already have installed. If your file is <5mb you can just upload the file to our blog like you would upload an image. 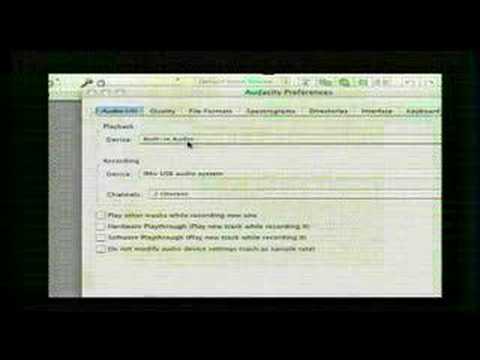 Then copy the mp3 url and continue with the podcasting instructions (below). For the novice, I suggest working with the highest quality equipment available to you at the lowest rate for technical operation, including transfer of files/media. Craig and I started with a Sony HDcam. Easy to use with lots of whistles and bells beyond my mastery, yet the process to transfer the media was painful due to a lack of a usb or firewire connector. This landed us in the NYU Media Lab which introduced its own set of complications. We then switched to two point and shoots (Canon and Casio models) that deliver high video quality, good enough audio, AND easy transfer to computer. As far as shooting style, the best advice I ever received from a real pro was, “Shoot to edit.” This means that you don’t just shoot freestyle, you shoot with purpose–you shoot in small, targeted quantities. The more you follow this rule, the better your end video will be and the less pain you’ll endure getting there. Need to grab a video from youtube or vimeo? Use clipnabber. Camtasia gets great reviews and many Microsoftees use it. Looks like the freebie on the link is gone, but maybe the trial would work, or the new free thingy mentioned in the text. If you want your video file to be podcast compatible (that would be great) You need to convert it to an mp4 file. FFMPEG is a free and open source software that would do the trick. Here’s Mac version that should be pretty simple. Sumo Paint – online image editor. Map Mashups: Mapping software like Google maps is a great way to visualize information of any kind. From campaign contributions to crime reports, mapping software is being used regularly as a new way to view sets of information.